Click here to see really large! 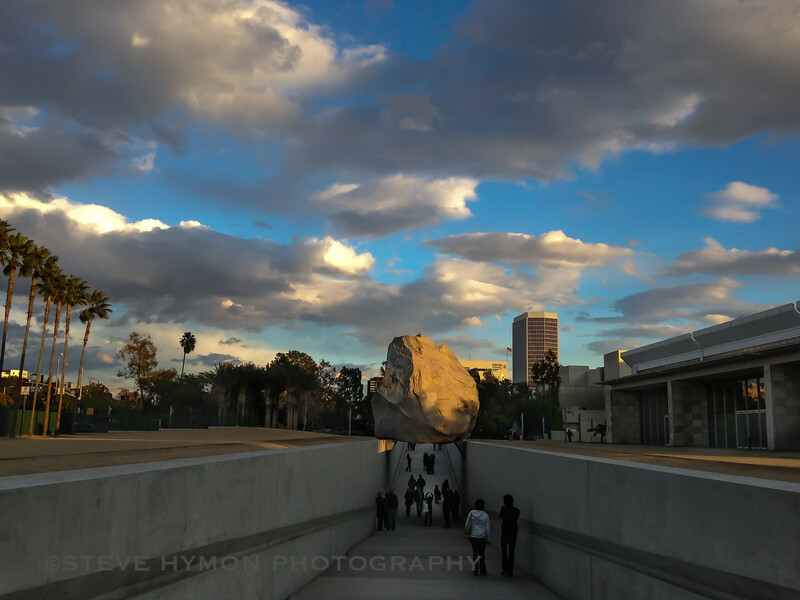 I wasn't too impressed by the big rock they call art at the Los Angeles County Museum of Art. Hasn't anyone in L.A. been to Yosemite or even the San Gabriel Mountains where big rocks are, quite frankly, a dime a dozen? But in the realm of contemporary art, anything goes and if you can persuade a museum board that your poop would be art if only bronzed and framed, well then it's art. Anyway, it was a clear day Sunday with great light at sunlight. The above photo was taken with my partner's iPhone5 and then processed in Lightroom. Not bad for a cell phone.